Caron Bowman is a multi-disciplined artist and her work spans many techniques including drawing, painting, and fiber media. Her artwork has received international recognition and has been on display at the Marc Chagall Museum, DuSable Museum, Harlem Fine Arts Show, ARCO Madrid Fair, Continuum Art Fair, and Art Africa Fair. She is an American artist of Afro-Honduran descent. She was born in the City of West Palm Beach, FL. and her parents are from Roatan, Bay Islands, Honduras. Caron has a Bachelor of Arts degree in History and Master of Arts degree in ESE. 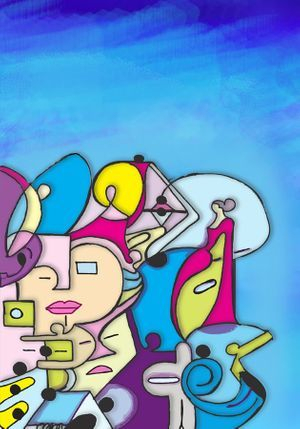 She has been influenced by pop art, surrealism, and graffiti art and she synthesized these qualities into her work. Her artwork is about intensity of color, curved lines, and daring patterns unified into one language. There is an almost dream-like quality to the rhythm and unfurling of the forms in her work. Due to her emphasis on dark outlines and flat areas of color, she uses the term SoFlo Superflat to describe the style she works in. She said of her work: “My personal quest is to create art with a spirit, moreover, transforming two dimensional materials into spiritual substance. My goal is to continue to use the vocabulary of color in order to speak visually in different languages creating a relationship between the un-conscious and conscious mind via abstraction and symbolism." In the creation of her artwork, Caron uses the technique of “automatic drawing” as a way to incorporate randomness and the subconscious into her drawings. Similar to Joan Miro and Keith Haring, she feels that automatic drawing freed her from artistic conventions and everyday thinking. This style of drawing requires a lot of dedication in order to fuse the unconscious and conscious mind. Over time, the two-states of consciousness have become nearly seamless which created Caron’s unique style. In her work the faces, people, and symbols have become a pictorial language. She uses a Superflat style of painting with flat figures and intensely bright colors, which is redolent of the graphic flatness of Keith Haring’s work. Color is a very important component to her work and that color palate is inspired by Huichol Indian’s technique of alternating strong and soft colors to achieve the effects of complementary opposition and to create dynamic balance. Another part of Caron’s studio practice is the use of fiber art including: embroidery, painted quilts, and digitally created cloth. Some of textile pieces can be labor intensive and take up to six months to create. Her artwork embraces a range of human emotions and spirituality and she captures the metaphysical world in her work. 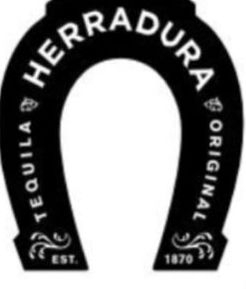 In 2014, she was commissioned by the Herradura Tequila to participate in the nationwide Herradura Art Collection. In 2014 and 2011, she was selected by Russell Simmons and Danny Simmons in association with RUSH philanthropic to be included in the Bombay Sapphire Artisan Series. The Artisan Series profiles the best emerging artist in the country. This year, she was a featured artist in the Wynwood Miami Mix Art Fair. 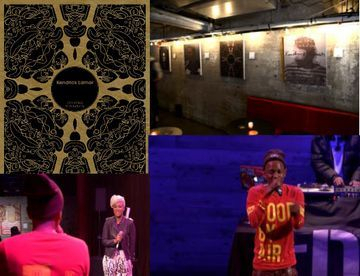 In 2013, Rapper Kendrick Lamar in association with Creative Allies showcased her artwork in NYC at the Galapagos Art Space. 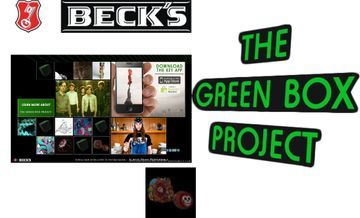 The Beck’s corporation selected her as a semi-finalist for the 2012 Beck’s Green Box augmented reality series - which featured the best emerging artist around the globe. Her work is currently on display on the Beck’s global website. Her art was chosen as the official image for the 2012 Miami Beach Stepping Out for the Arts Luncheon. She was selected for the Fiat /Redeye graffiti challenge, which showcased the best in graffiti and street art in Broward County. 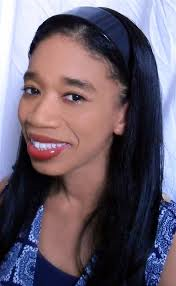 She has been profiled by The Smithsonian American Latino Museum, The 2014 and 2013, Los Angeles African American Heritage Guide, fashion photographer Nick Knight’s – SHOWstudio, and the Tom Joyner Foundation. Caron is the recipient of numerous honors including the Palm Beach County Cultural Council NARP residency Grant and the Lighthouse Art Center Expressive Textiles Award. Throughout the years, Caron has lent her talent, energy, and time to many philanthropic causes, such as Armory Art Center, The ARC of Palm Beach County and Kretzer Piano Music Foundation. For the Kretzer foundation’s Key to the City project, she painted a piano that was displayed in the Northwood Art District. After its public residency, the piano was donated to a local children’s charity. The Green Box Project, a global fund established to inspire, celebrate and financially support independent talent in art, design, music and fashion. Over the next three years, Beck’s, through The Green Box Project, will fund and showcase 1,000 projects by individuals with unique creative vision. The resulting art pieces will be experienced via augmented-reality in Green Boxes located around the world and will be permanently displayed in the fund’s virtual gallery. 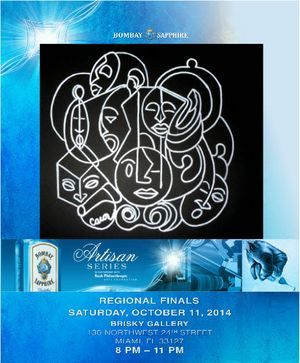 Palm Beach County artist Caron Bowman has been selected to participate in the Bombay Sapphire Artisan Series. Bombay Sapphire and Rush Philanthropic Arts Foundation national competition, now in its 5th year, attracts thousands of applicants from around the country. The series showcases the best emerging artist around the United States. Caron’s art piece the Voice (Back to Black) was chosen by Bombay Sapphire to be displayed in Miami. The “Voice (Back to Black)” truly captures Caron’s unique drawing style of strong outlines and cubic abstraction. Best known for her high intensity use of color, the “Voice (Back to Black) “was a departure - with the use of a grisaille color pallet. Furthermore, she said that "I wanted to go back to basics and explore the monochromatic juxtaposition of black and white which is the basis of a tonal perspective”. She is not abandoning color but wanted the viewer to focus on the complexity of her drawings. Caron Bowman, has been chosen as one of the finalist in the “2014 Campaign for The Friends of the American Latino Museum. Caron Bowman is so honored to have the image of her artwork selected as one of the finalist for American Latino Museum campaign design. As an educator, she is particularly happy about this year’s campaign theme: Honor, Educate, and Inspire. 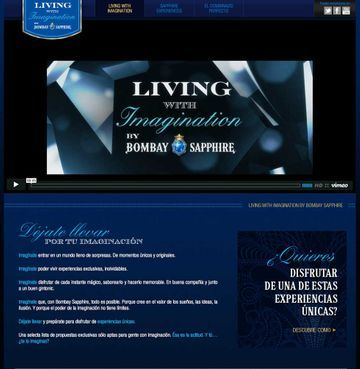 Imagine, with Bombay Sapphire, anything is possible. Because we believes in the value of dreams, ideas, illusion. And because the power of imagination is boundless. good kid m.A.A.d. city Art Show Photos from my NYC show. Kendrick Lamar in association with Creative Allies and Foot Action hosted a group art show NYC. The artwork took inspiration from his album good kid m.A.A.d. city. Kendrick and special guest Emeli Sande performed live for the audience. I would like to thank the sponsors and Kendrick Lamar and his team for sponsoring the event. 2012 Stepping Out for the Arts Luncheon. Stepping Out for the ArtsCongratulations to Caron Bowman. 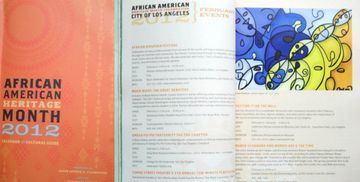 Her art was chosen as the official image for the 2012 Stepping Out for the Arts Luncheon. Proceeds go to grants through the Miami Beach Cultural Arts Council awarded to 501(c)3 art and cultural groups who produce events in Miami Beach. We wanted to share with you one of the first submissions by Caron Bowman a talented artist from Florida. Here is her description of her piece "La Raza". The inspiration for the piece La Raza started with the article “Complexity of Latino Diversity” tweeted by the American Latino Museum. I decided to create a graffiti style mural about diversity. The artwork celebrates the Native Indigenous, African, and European cultures that have resulted in a unique Latin American tradition. The Indigenous and African heads have water surrounding them which symbolize the gateway of the spirit world. Indigenous and African people believed that bodies of water were entrances to the supernatural realm. The heads that are hidden in the Mayan water glyphs, are to represent god putting divine breathe in artistic creations. Many Indigenous groups believe that art was the result of God touching the human heart. 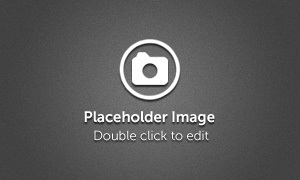 The female and male images represent the root of the family which is the strength of Latin culture. This unique family that is blended from a myriad of cultures in one extraordinary race of people La Raza. Caron Bowman is an Afro-Honduran multi-disciplined artist. Her artwork is about intensity of color, and daring patterns unified into one language. There is an almost dream-like quality to the rhythm and unfurling of the forms in her work. Recently, her work has been recognized by The Beck’s corporation and Rush Philanthropic Art Foundation. People who follow South Florida's art scene may be faced with a difficult decision on Saturday: Attend the Second Saturday Art Walk in Wynwood or go to the annual Red Eye show at Fort Lauderdale's ArtServe? This is the sort of dilemma Byron Swart envisioned when he created Red Eye in 2006. "We were so tired of hearing people say they had to go down to Miami to experience anything cutting-edge or out of the ordinary," he says. "There was a definite need to start bringing something edgier to ArtServe." His quest for edginess led him to a number of graffiti and tattoo artists in Fort Lauderdale. "We thought it was time for them to have the gallery," Swart recalls. "So we opened Red Eye." The event's attendance has increased from 600 people for the inaugural event to about 1,500 for last year's show. "In 2008, we added a fashion component, and then we added spoken word," says Swart, ArtServe's former programs manager who now produces Red Eye at the art space through his own company, B Marketing and Events. "It's just grown and grown." Graffiti, however, remains a core component of Red Eye, which will again include a project called Cans to Canvas. "We heard a lot about young kids getting intro trouble tagging buildings, so we were trying to teach them that rather than tag a building and get into trouble with the law and give their artwork away for free, they can tag a canvas and sell it," Swart explains. "Some of the kids' parents were thrilled about it. They said they'd never actually seen their kids working on a canvas." Miami graffiti artist Abstrk is also thrilled about this year's Red Eye. The design he submitted in a call to artists earned him the opportunity to paint a Fiat 500, provided by Rick Case Fiat. Basically, he took the style he's applied to walls throughout Wynwood and put it on a car that's been making the rounds at art walks and festivals to promote the show. "It will be on exhibit at Red Eye, and different graffiti artists will be there painting live on canvases," Abstrk says. In addition to those artists, which include Ruben Ubiera, Miss Marvel, Remote, Caron Bowman and Mad Neon, the event will include dance, installations, paintings, sculpture, an open mike and a show of avant-garde fashions designed by Florida International University students. There will also be a Red Shorts Film Festival, a drumming performance by Fushu Daiko, food trucks, music from Twilight Notes DJ Adam Foster and performances by local bands the Hate Ash Buried, Boxwood, Astari Night and Speaking Volumes. The bands will perform in ArtServe's parking lot and on nearby sidewalks. "We encourage this as it lends itself more to 'street' performances," Swart says. It also allows more space for Red Eye's newest addition: a VIP area that promises Red Eye cocktails, hors d'oeuvres and "exclusive access to participating artists, musicians and special guests." Despite the feeling of exclusivity a $50 ticket creates, the event remains inclusive when it comes to submitted artworks. According to Swart, the 160 submissions were reviewed by a committee whose main goal was to insure each work was either street art, graffiti or social commentary, and most made the cut. "There were a few butterflies and fluffy bunnies that did not make it in," Swart says. The exhibition will include "Fandango" from a 30-work series by R. Lewis Hooten, who photographs peeling tree bark and arranges the images on a computer. "Fandango," which depicts the bark spread out in fanlike formations, has a kaleidoscopic feel. "I like the idea of making unusual and beautiful images from refuse that would not elicit a response on its own," he explains. "Miss Depression" shows an unsmiling woman wearing a banner that reads, "Depression." It's part of Serafima Sokolov's "Dust Bowl" series of oil paintings based on photos from the Great Depression. "Miss Depression" derives from a 1931 photo taken in Kansas, and is presented as a reflection of our current economic state by combining black and white with sunnier colors. "I want to reflect hope of a better future in this series, not just the gloom of existence," Sokolov says. "The stories told in the words and eyes of our ancestors are lessons of survival, not defeat." The show also includes "Urban Development," Alfred Phillips' painting of weightlifters in the graffiti-filled alley behind his F.A.T. Village studio, and "Pryde," which Lori Pratico painted following Red Eye's 2011 afterparty at the Green Room. At that party, bartender Krysti Pryde complimented Pratico on "Ink," her series of tattooed women that was on exhibit at the nightclub. "I couldn't help but notice how striking she was, and asked her if she would be interested in modeling for me," Pratico says. "She later became my friend on Facebook, and I saw some snapshots she had taken of herself on her page." Pratico painted "Pryde" from one of those shots. At Red Eye, she will also exhibit "Polkovitz," a portrait of West Palm Beach artist Cary Polkovitz. "He is the first male in my series, just because he's that cool," she says.